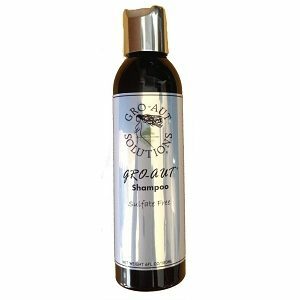 Gro-Aut (grow out) Sulfate Free Shampoo cleanses hair thoroughly and gently while providing nourishment to the scalp with our gro-aut herbal complex formula plus vitamins and nutrients to promote healthy and thicker growing hair. 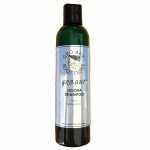 The unique formula of our Sulfate free shampoo enriched with our gro-aut herbal complex containing amla and bhringraj herbs plus aloe and lysine was designed to help you reach the hair length and thickness that you have always desired. Aloe Vera promotes healthy hair and prevents hair loss. Aloe’s positive effects on the skin are well known, and likewise it can help the scalp by healing it and balancing the ph level of the scalp while cleansing the pores. Lysine promotes hair growth and thickness by strengthening and thickening each individual hair shaft; a natural DHT blocker effective in stopping hair loss associated with male pattern baldness caused by the overproduction of the male hormone Dihydro-testosterone (DHT). Amla, the hair rejuvenator, is a nourishing herb that adds luster and shine to the hair while preventing scalp infections, hair loss, and premature graying. 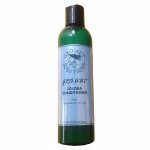 Bhringraj, revitalizes the scalp while promoting hair growth.